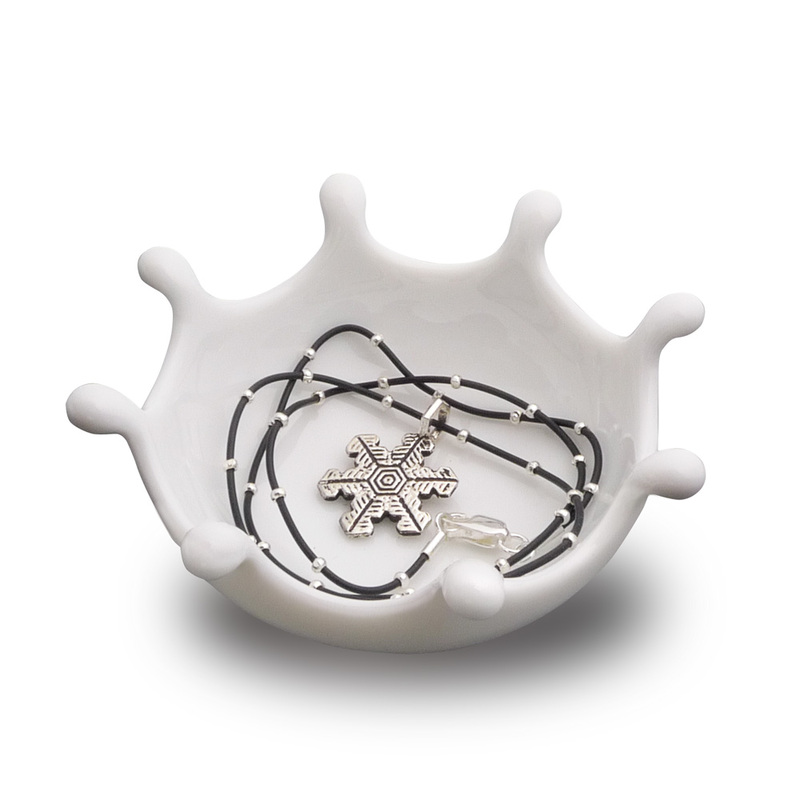 Our Original Silver Snowflake still makes a Splash! 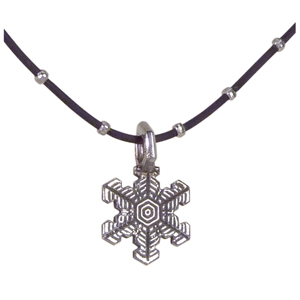 This dramatic snowflake is oxidized to bring out all the intricate details. It's sterling silver and is 3/4" diameter. A dramatic black rubber chain with sterling silver beads, is included. This snowflake comes with this playful "Splash" dish. The ceramic dish is imported from Japan, and is a fun way to hold jewelry and other small items.